There is only one “king of the road” when it comes to dealing with the adverse side effects of oral cancer drugs, and that is not the healthcare professional, according to Christine B. Boers-Doets, MSc, of the Netherlands Leiden University Medical Center, author of The TARGET System, and creator of the 7 Pillars of Ultimate Drug Success formula. She discussed this topic at the recent ESMO International Consensus Conference for Advanced Breast Cancer in Lisbon, Portugal. As many drugs have shifted from intravenous delivery in the infusion center to oral use at home, so has the burden of medication adherence and administration. 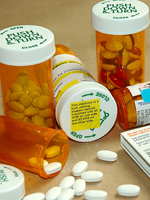 In the home setting, patients and other members of their support network bear the responsibility of proper medication use. In the wake of this shift, Ms Boers-Doets stressed the importance of dealing with oral drug administration and side effects as an interdisciplinary team, rather than letting the responsibility fall solely to the oncology nurse. After initiating treatment with a targeted therapy or immunotherapy drug, Ms Boers-Doets encourages waiting only 48 hours until checking in with the patient to evaluate whether the treatment was effective. Mouth rinses are vital to managing adverse events such as stomatitis and mucositis. “We’ve learned that it’s only impor­tant to rinse the mouth, and it doesn’t matter with what. Plain water is okay,” Ms Boers-Doets advised. The more side effects that appear in the oral cavity, the more often the patient should rinse his or her mouth. Ms Boers-Doets encourages the use of the pneumonic TARGET—a systematic 6-step approach to tackling adverse events and continuing therapy as planned. This strategy can be applied in day-to-day practice and in clinical trials. Tackle—When the previous steps have been applied, tackling the adverse event becomes the easiest step in adverse-event management.